SWT's Flow Controls provide an easy, efficient, and economical way to reduce and maintain water usage and waste. 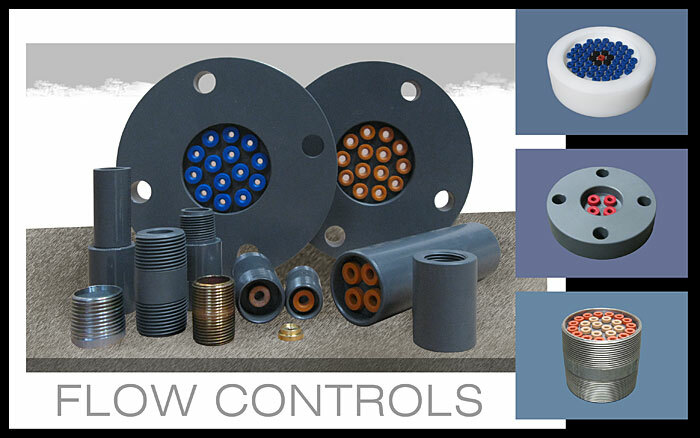 Choose from machine fabricated PVC Flow Controls*, PVC Flange Disc Flow Controls, External Backwash Flow Controls, Flo-Controlet Flow Controls and Stainless Steel Flow Controls. They are available with PVC male thread, PVC female thread, PVC spigot, PVC ANSI or DN flanged, PVC ANSI disc, steel threaded NPT or BSPT, and brass threaded NPT connections to match your application needs. These simple to install units can control liquid flow rates from 0.25 to 550 gpm, between 30 and 150 psi. *Available in other plastic materials (CPVC, Teflon, ABS, etc.) and metric sizes. Copyright 2012-2019, Safe Water Technologies, Inc.